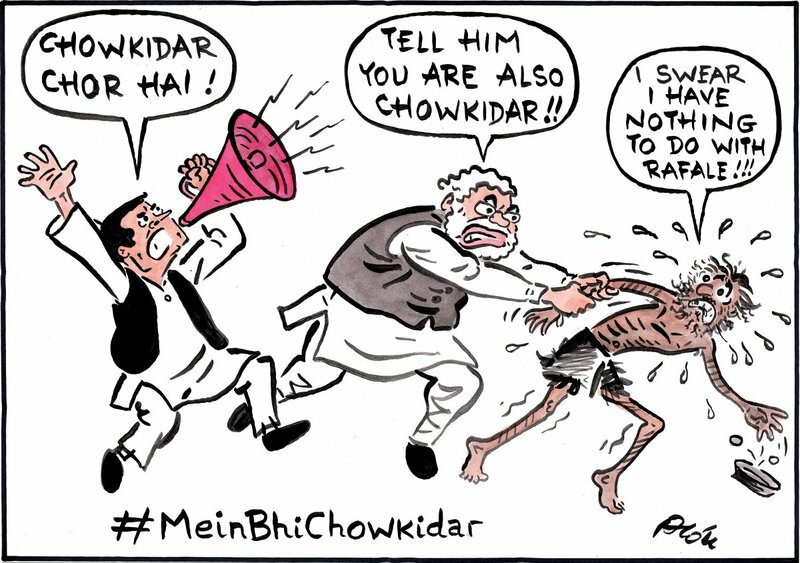 Hemant Morparia takes a potshot at Prime Minister Narendra Modi’s anti-corruption “Main Bhi Chowkidar” campaign as he draws a caricature of a common man running away from the PM over the “Rafale” issue. Kirtish Bhatt also takes a jibe at Prime Minister Narendra Modi’s “Main Bhi Chowkidar” campaign, suggesting ordinary watchmen won’t be required anymore now that all BJP supporters are replacing them. 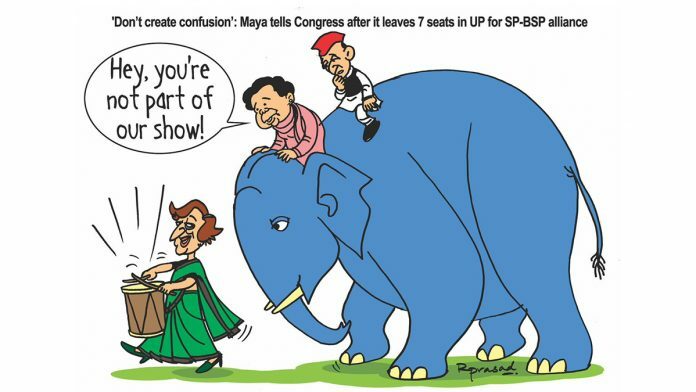 Nala Ponnappa weighs in on issue of electoral candidates with criminal records. 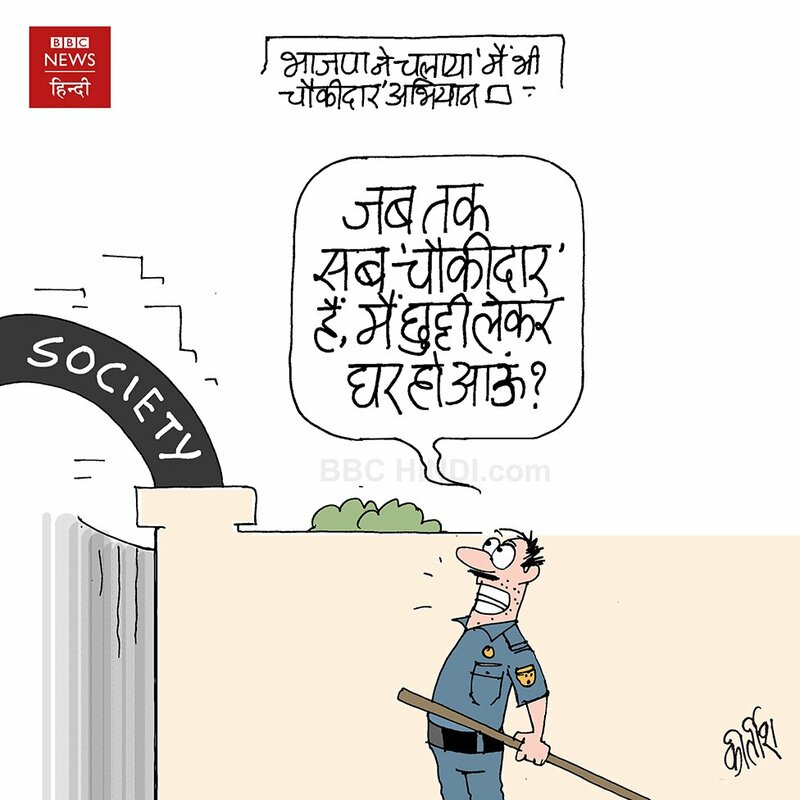 The cartoon comes after NCP granted ticket to former Maharashtra CM Chhagan Bhujbal’s nephew Sameer Bhujbal from Nashik, who was serving his sentence for the Maharashtra Sadan scam and is currently out on bail. 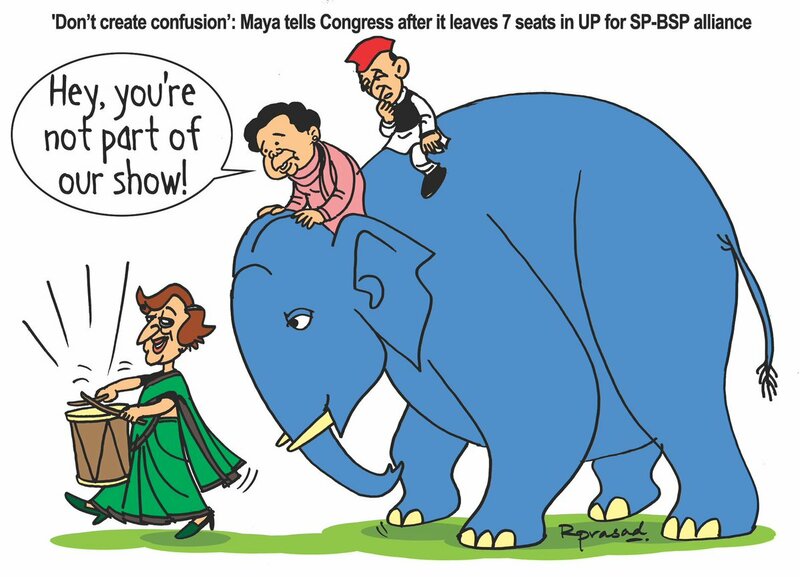 After Congress announced that it won’t contest elections from seven seats in Uttar Pradesh, R. Prasad draws a worried Mayawati and Akhilesh Yadav who are protesting Priyanka Gandhi Vadra’s attempt at “creating confusion” and being part of SP and BSP’s alliance “show”. 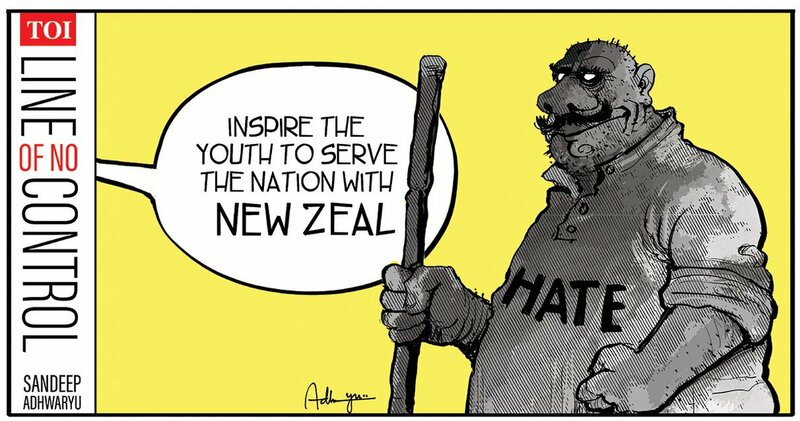 With the attack on a mosque in New Zealand’s Christchurch, Sandeep Adhwaryu takes a dig at the rise of Right-wing extremism all over the globe with reference to their Indian counterparts. 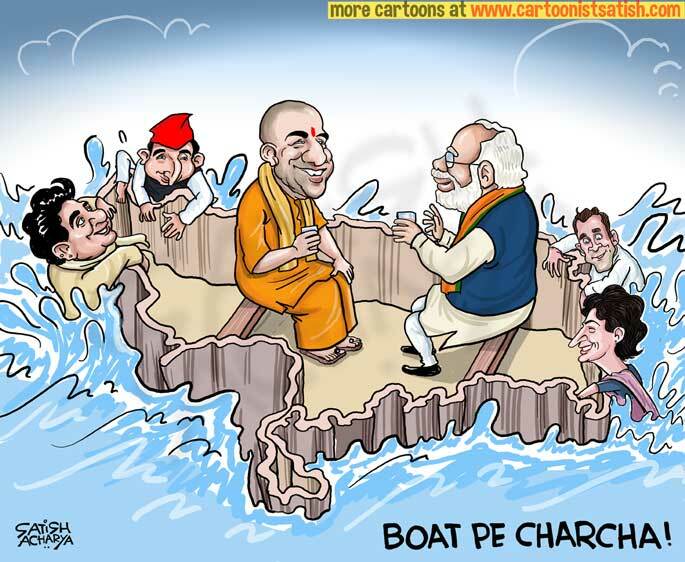 After Priyanka Gandhi Vadra kicked off her “Ganga Yatra” in Uttar Pradesh Monday, Satish Acharya depicts the turbulent political waters in Uttar Pradesh as all political leaders try to topple BJP’s boat. 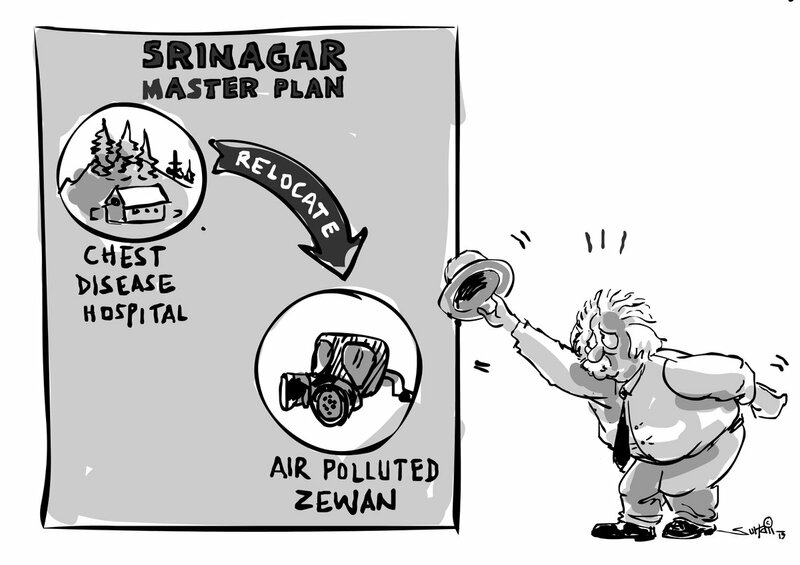 Suhail Naqshbandi takes a dig at the relocation of the Srinagar’s Chest Diseases Hospital to Zewan under the city’s new master plan with a hat-tip. Zewan is known for high air-pollution indicators due to the stone crushing factories in the region. 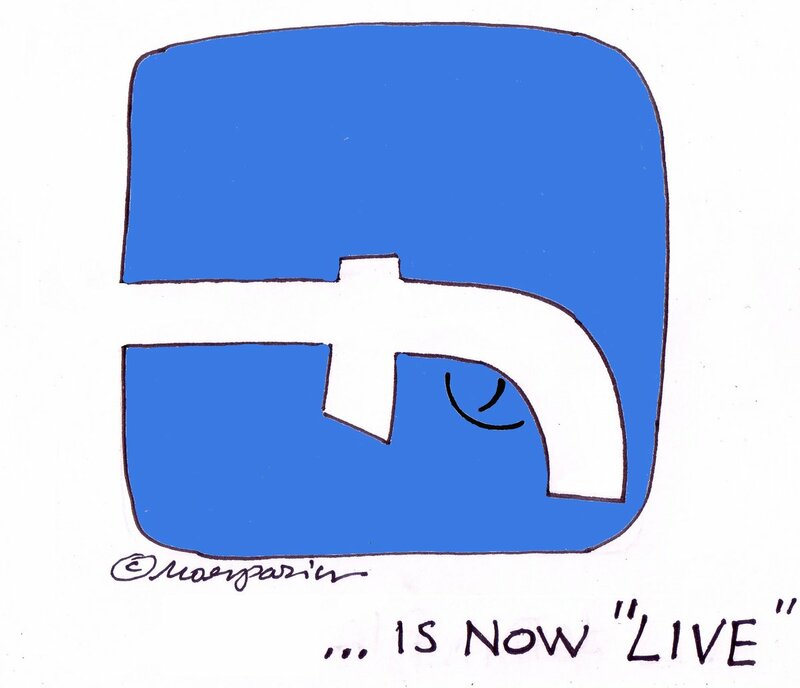 Referring to the “live” video of the gruesome Christchurch mosque attack, Hemant Morparia plays with the Facebook logo to illustrate the role of social media platforms in broadcasting violence on the internet.